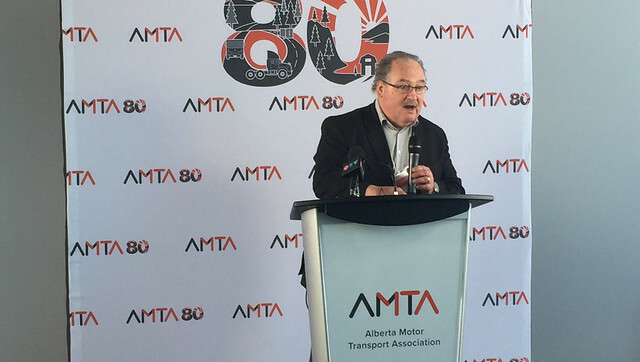 Minister Mason makes rest stop announcement at the AMTA training facility grand opening. The Government of Alberta is building one new safety rest stop on the QEII between Calgary and Edmonton and two more along the Yellowhead Highway, west of Edmonton. Adding rest stops to heavily travelled corridors is part of the province’s overall approach to promote traffic safety. The province is also supporting development of a new private-sector rest stop near Bowden. Construction of the rest stops is expected to support 89 jobs. The building cost is estimated at $20 million. Safety rest stops will be designed to accommodate possible future commercial opportunities such as gas stations and restaurants.